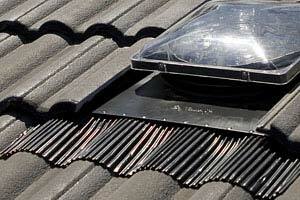 Manufactured by SG Eco Industries Inc., Corrugated Flashing eliminates the need for using lead on tile roof flashings. Comprising of 2 layers of aluminium with rubber inserted between, the corrugated flashing is flexible enough to mould around the tiles, and heavy enough to stay in position once installed. 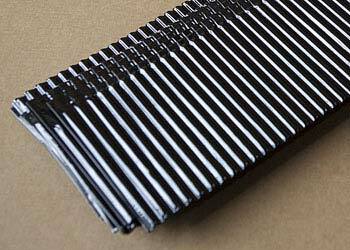 Produced in a mill or powdercoated finish, and in any length up to 1600mm long this corrugated flashing can be incorporated into almost any product.